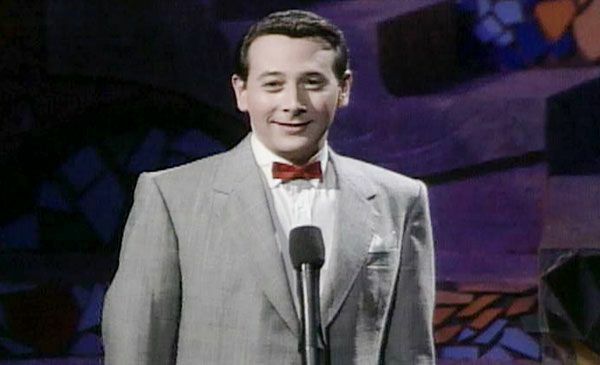 6.5.1991, Los Angeles: Pee-Wee Herman opens the '91 VMAs by asking: "Heard any good jokes lately?" 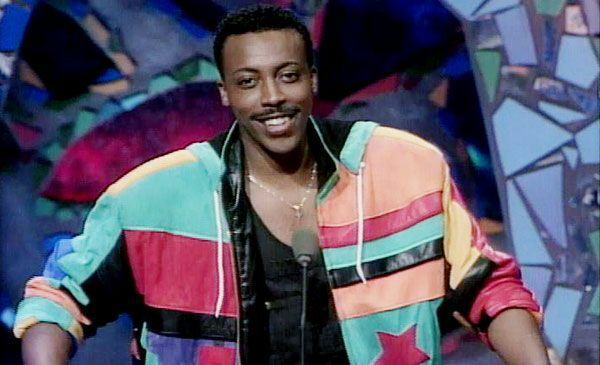 6.5.1991, Los Angeles: Arsenio Hall hosts his fourth and final MTV Video Music Awards. 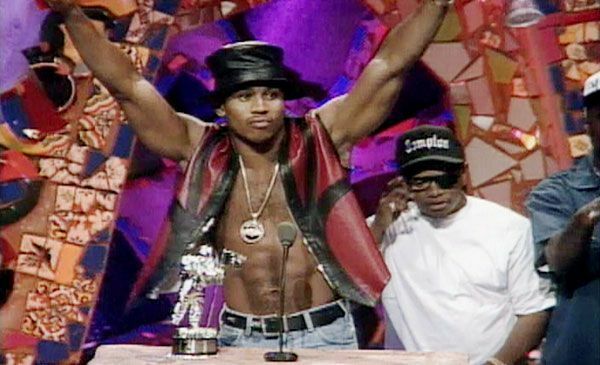 6.5.1991, Los Angeles: LL Cool J wins Best Rap Video for “Mama Said Knock You Out” at the 1991 VMAs. 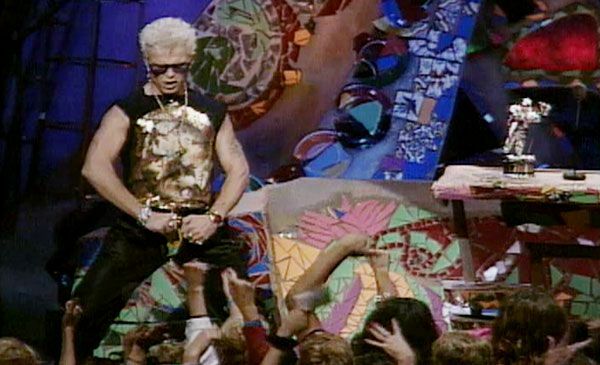 6.5.1991, Los Angeles: Presenter Billy Idol shocks the audience when he pulls an envelope from his fly while presenting at the Video Music Awards. 6.5.1991, Los Angeles: Breakthrough album Out Of Time’s commercial success is sealed when R.E.M. 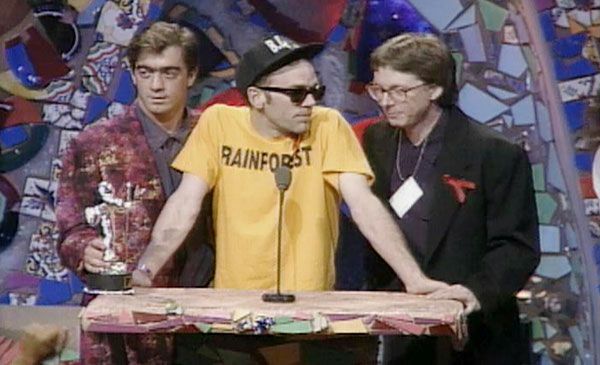 pick up six Moonmen at the '91 VMAs. 6.5.1991, Los Angeles: Mariah Carey blows away the 1991 VMA crowd with her performance of "Emotions." 6.5.1991, Los Angeles: Paula Abdul sparkles on stage during her performance at the '91 VMAs. Little did the world know that it would be sitting down that eventually made the singer/dancer/choreographer a household name. 6.5.1991, Los Angeles: C.C. 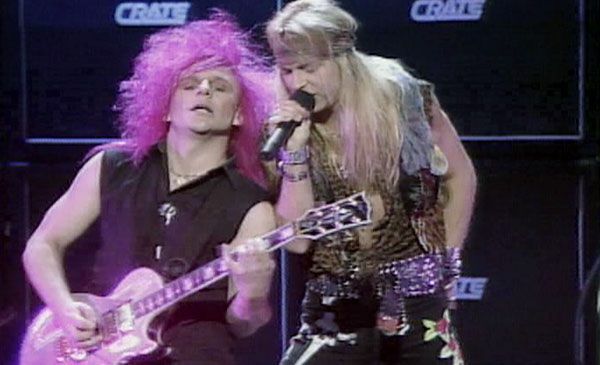 DeVille and Bret Michaels of Poison bring the house down with a blistering rendition of "Talk Dirty to Me" at the '91 VMAs. 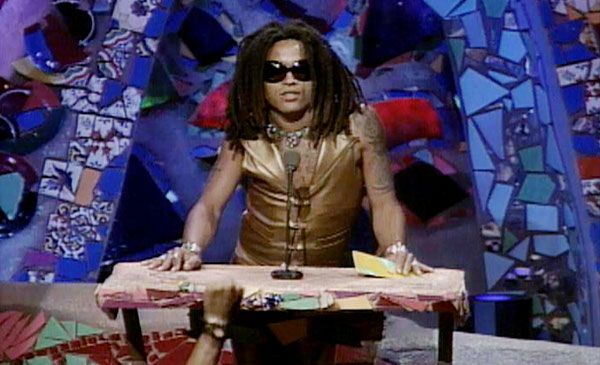 6.5.1991, Los Angeles: With nothing more than a glance, Lenny Kravitz reminds us to love and rub a dub, as he presents a Moonman at the '91 VMAs. 6.5.1991, Los Angeles: You know you’re big time when James Brown presents you with an award. 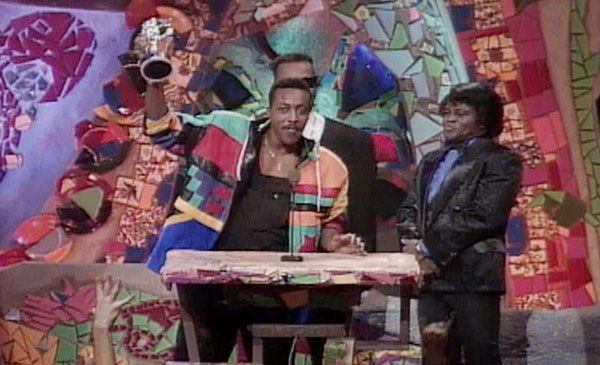 Here four-time host, Arsenio Hall, receives a special award for his service to the VMAs. 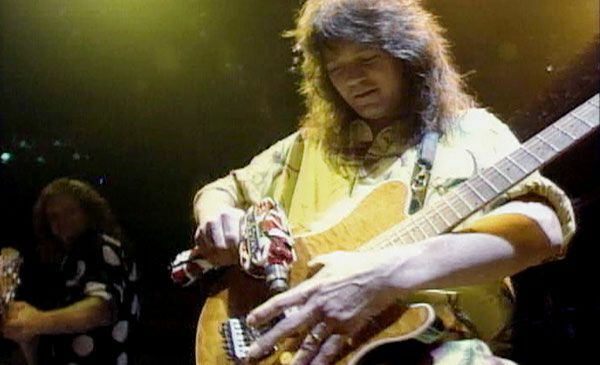 6.5.1991, Los Angeles: Guitar god Eddie Van Halen drills the message home as Sammy Hagar looks on in awe, onstage at the VMAs. 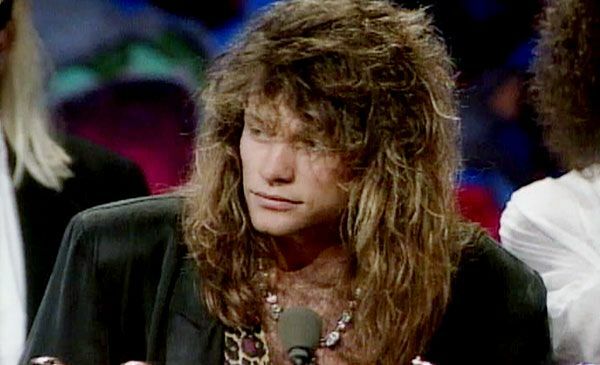 6.5.1991, Los Angeles: Bon Jovi peers out from under an otter as he receives the Michael Jackson Video Vanguard Award for 1991.